Plays in your core. 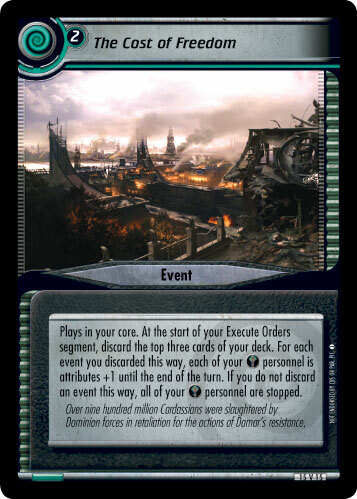 At the start of your Execute Orders segment, discard the top three cards of your deck. 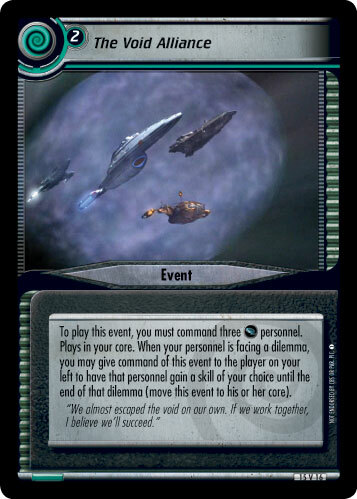 For each event you discarded this way, each of your personnel is attributes +1 until the end of the turn. If you do not discard an event this way, all of your personnel are stopped. 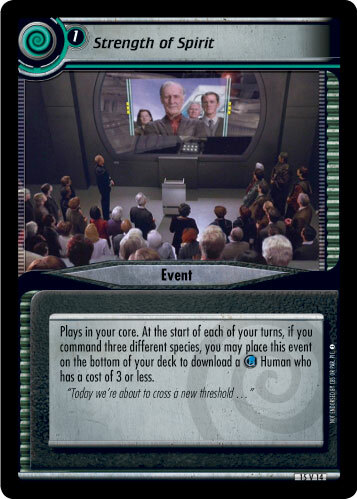 Over nine hundred million Cardassians were slaughtered by Dominion forces in retaliation for the actions of Damar's resistance.